One of the striking features of »Faust II« is the way Goethe has incorporated a multiplicity of knowledge elements into this work of his old age. 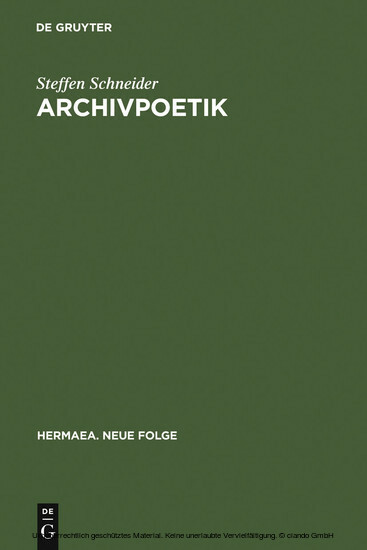 The study examines the function of this abundance of allusions, coining the term 'archival poetology' to designate the process of creative alienation and knowledge acquisition involved. In so doing, it concentrates on three aspects. First it relates Goethe's approach to the history of knowledge and science at the time. Subsequently it inquires into the procedure employed in poeticizing the knowledge referred to, and finally it enlarges on the poetological function of this knowledge.